I’ve been employed in 6 companies both in government and private offices. In those companies I’ve rounded through various departments and handled several tasks even those outside my field of studies. Through all the tasks I handled in all those jobs I can say that Accounting and Finance department are the two most stressful ones because it includes billing, collection and handling operational expenses of the company. I also handled administrative and human resource departments which are the most tasking but the most confidential and delicate is handling finances. In my former job in a minor Telco company I was the one who sends invoices to clients and I schedule it either monthly or semi monthly. In my former years I send the invoices via mail but when I found a way to send it online I embraced the new technology because it’s faster and we are getting paid earlier. Billing and collection is not an easy task because you have to be on time and should be error-free in your billing because complaints from the customers can cause delay in collection. We can’t afford delays because it can affect our budgetary allocation for our company’s payroll and operational expenses. 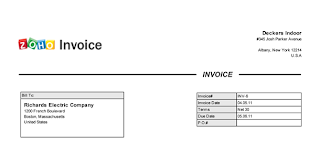 Now I can see that there are online invoicing companies like Zoho Invoice which offers Invoice Software that will make your invoicing hassle-free, fast and quick. They provide a way to make invoicing to customers easier by helping you create invoice, send and manage it online. It also helps to accept payment online and track your customer’s payments. 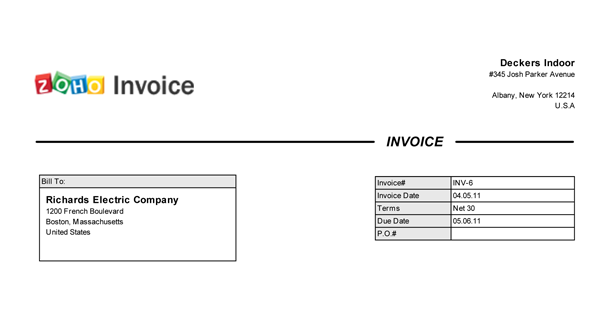 They have invoice templates that will let you create your own invoice or choose from their ready-made invoices. If you want the old time snail mail they can also provide you with their facilities.